Progressive Charlestown: Researchers say put it in your mouth, not your gas tank. Researchers say put it in your mouth, not your gas tank. 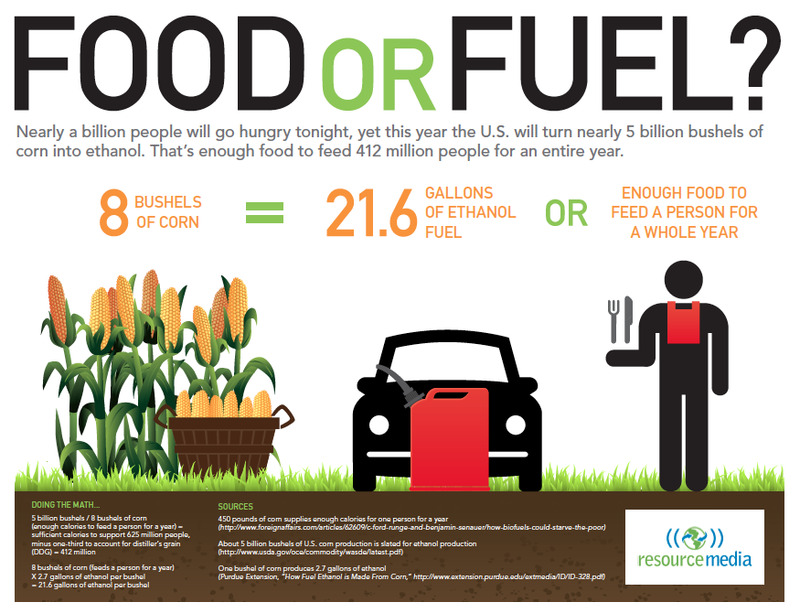 Renewable biofuels can come with hidden economic and environmental issues, and the question of whether corn is better utilized as food or as a biofuel has persisted since ethanol came into use. To compare the energy efficiency and environmental impacts of corn production and processing for food and for biofuel, the researchers inventoried the resources required for corn production and processing, then determined the economic and environmental impact of using these resources -- all defined in terms of energy available and expended, and normalized to cost in U.S. dollars. Then, they quantified the environmental benefits and impacts in terms of critical zone services, representing the effects on the atmosphere, water quality and corn's societal value, both as food and fuel.